These are some of the accomplishments achieved. The unveiling of a wall hanging depicting the Armorial Bearings of UCC by Susan Anderson in the John David Eaton Building Preparatory School Upper Canada College.. Sep, 1992. 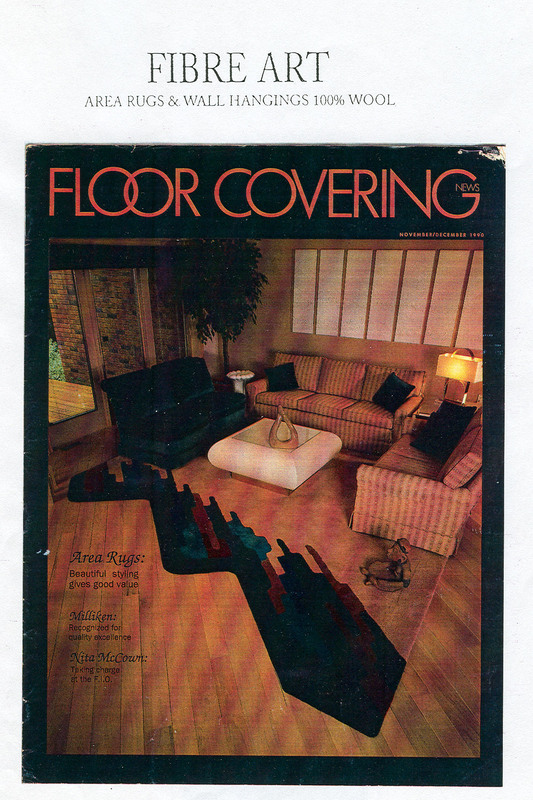 The Romance Area Rugs, Floor Covering Magazine. 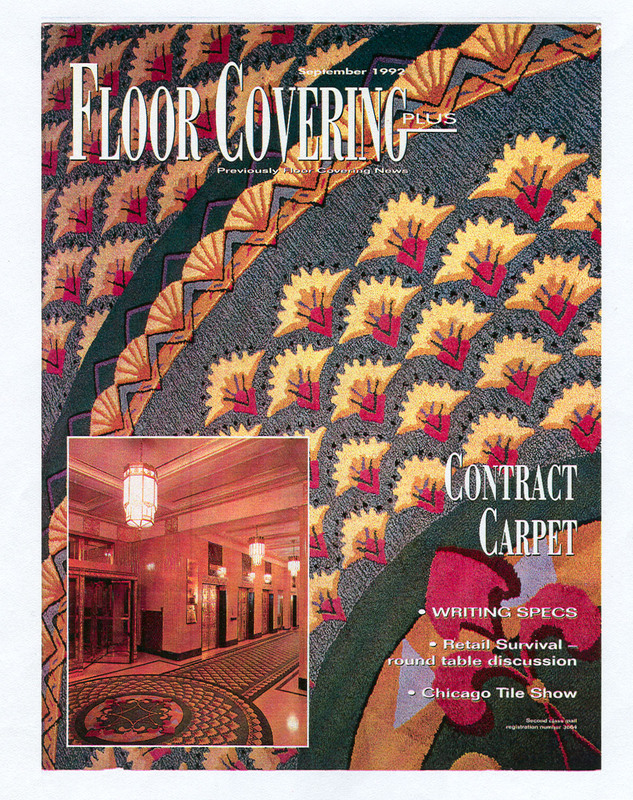 Carpet Contract, September 1992, Floor Covering Magazine. 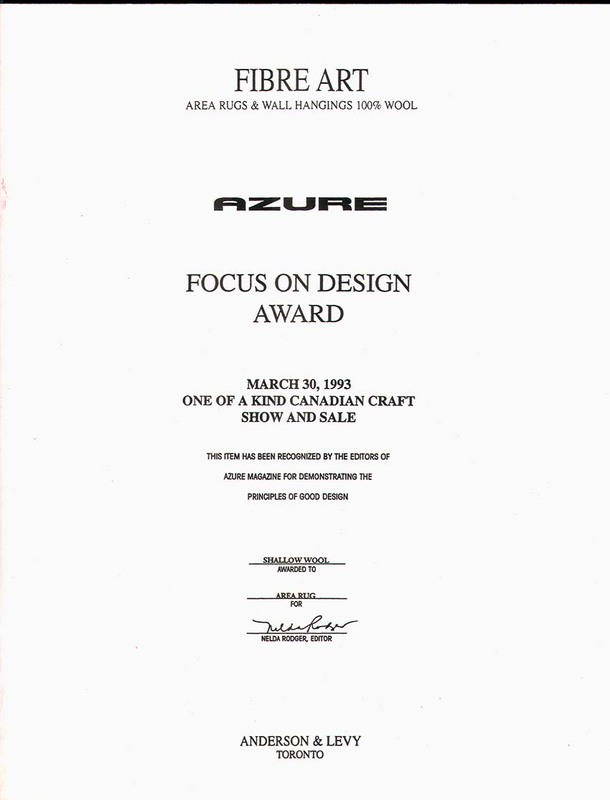 Focus on Design Award, March 30th, 1993, ONE OF A KIND CANADIAN CRAFT SHOW AND SALE. 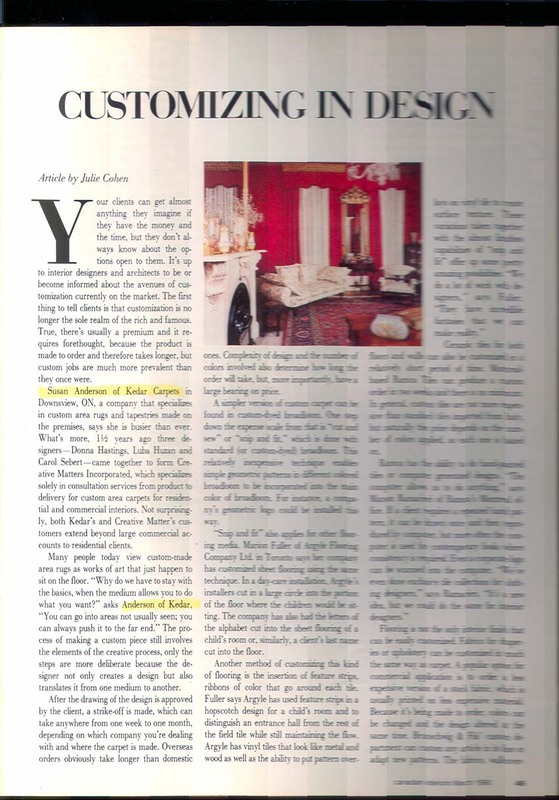 This item has been recongnized by the editors of Azure Magazine for demonstrating the principles of good design. 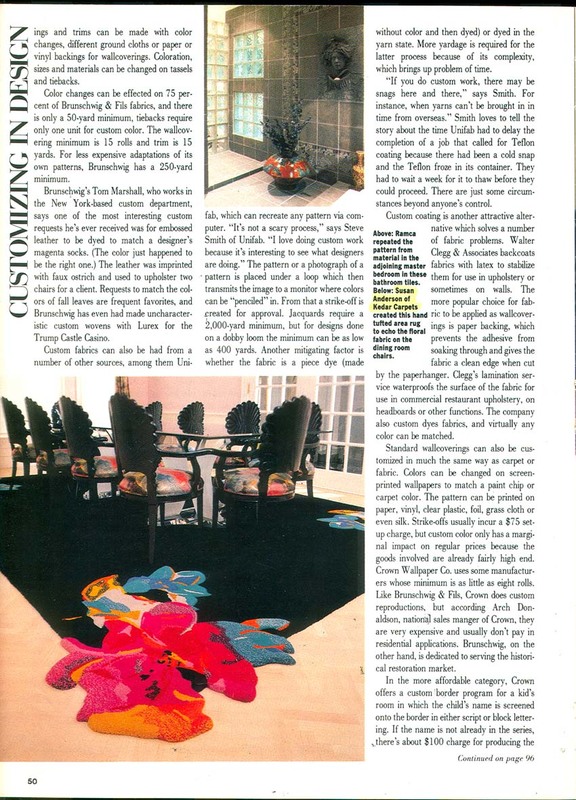 Beautiful styling gives good value, Floor Covering Magazine. 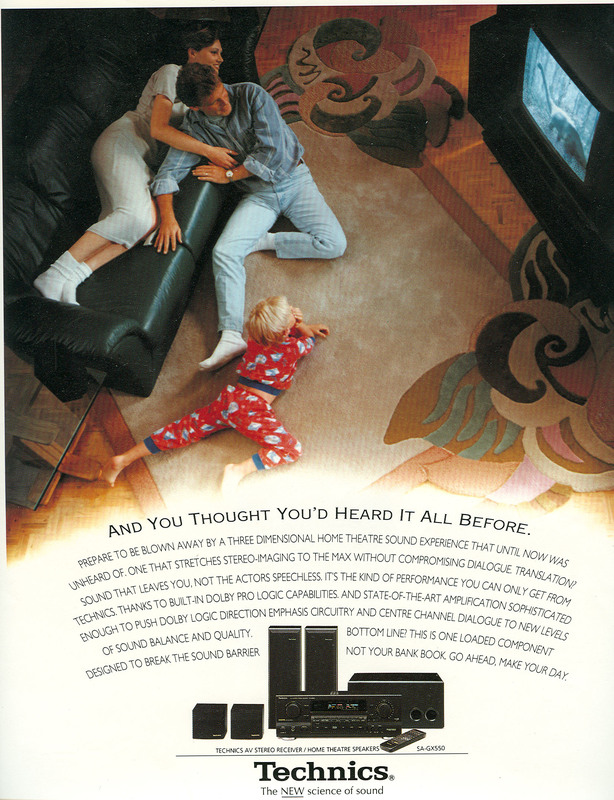 "Why do we have to stay with the basics, when the medium allows you to do what you want? You can go into areas not usually seen: you can always push it to the far end."